Burke’s Pirate Birthday Brunch was this weekend (we are still recovering- whew!). 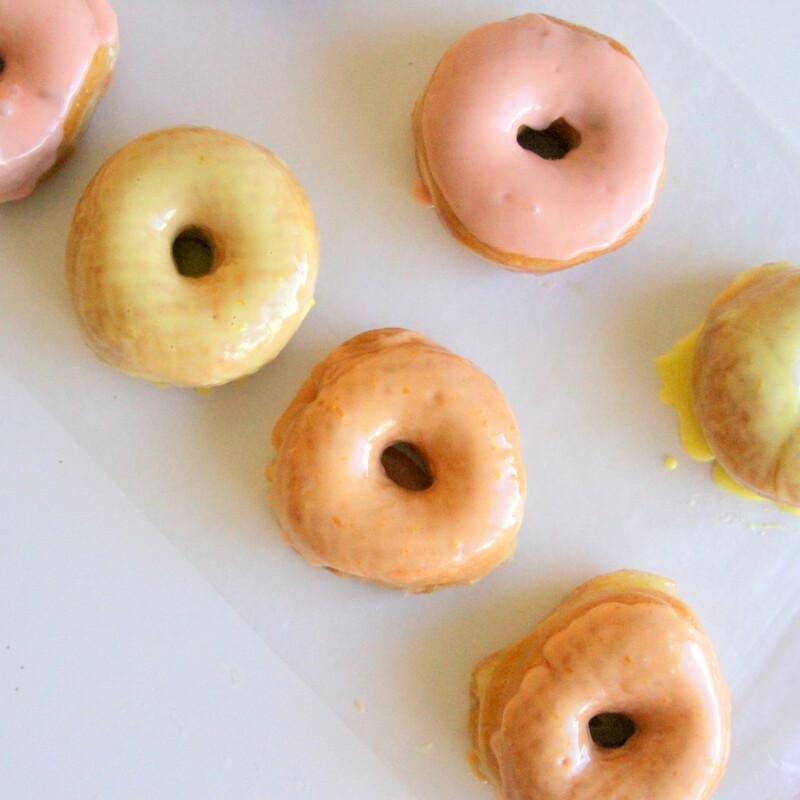 While I am editing five hundred pictures, I thought I’d share these semi homemade citrus glazed donuts with y’all. You need them- probably tomorrow, actually. Burke had two requests for the brunch menu- homemade biscuits with tons of toppings and Voodoo doughnuts (can you tell he’s a bread guy?). Homemade biscuits were no problem, but Voodoo donuts is a bit trickier to pull off when you live approximately 6000 miles from the nearest location. 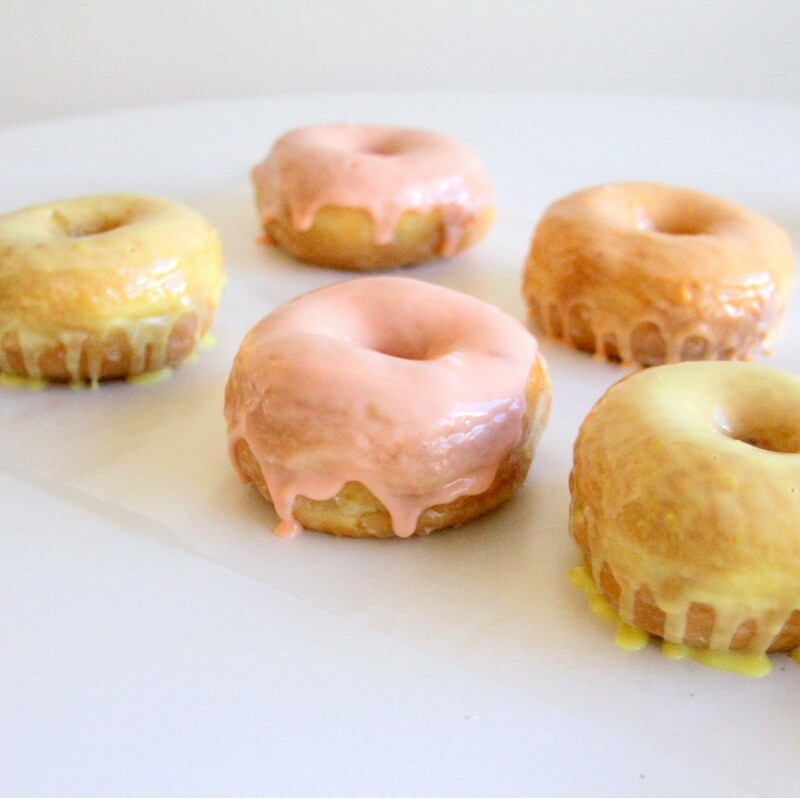 When I offered to try my hand at gourmet-ish citrus glazed donuts (using donuts from our local Winchell’s), Burke was on board. And so we loaded up and headed to Winchell’s to get a bevy of donuts for a ‘practice run.’ After discovering that plain old glazed raised donuts worked best and perfecting the glazes, we were ready for party day. 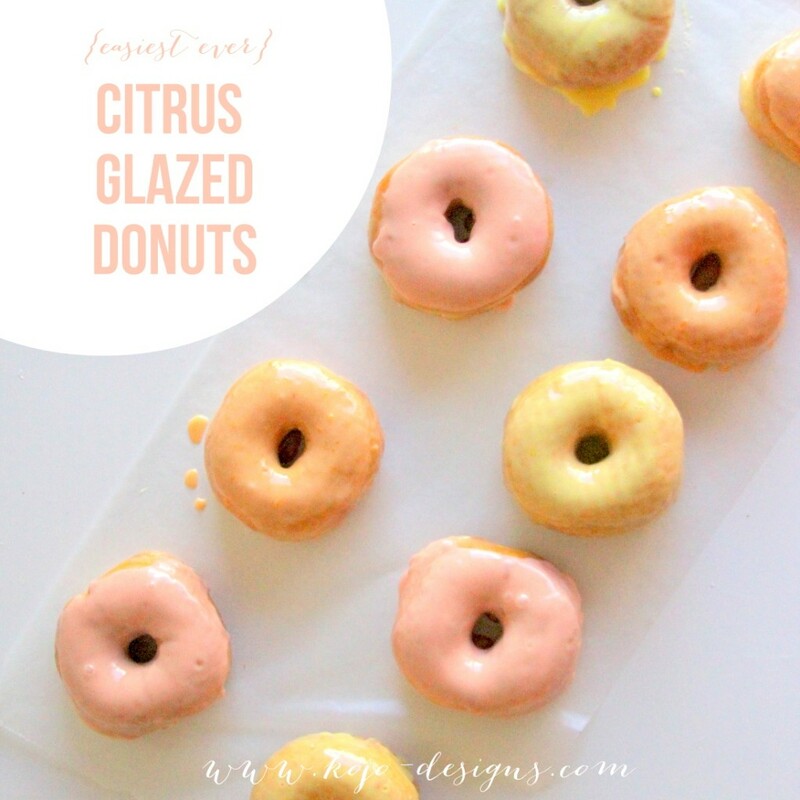 To make these citrus glazed donuts, you’ll need a box of plain raised donuts and three kinds of citrus glaze (recipes follow). 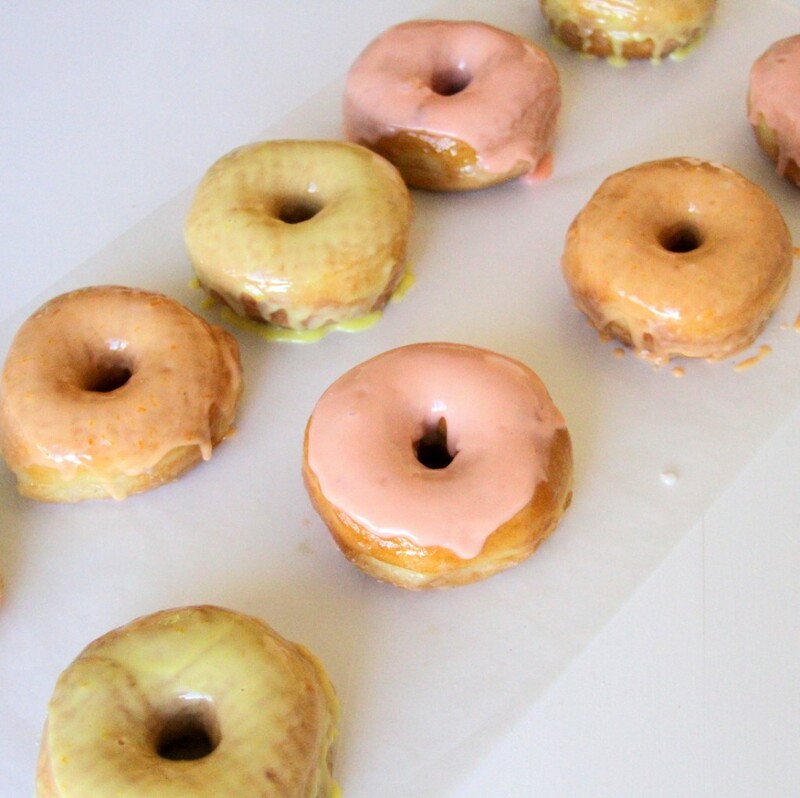 After the glazes are made, dip each donut face down into one of the bowls of glaze. Remove and set on wax paper to catch drips. 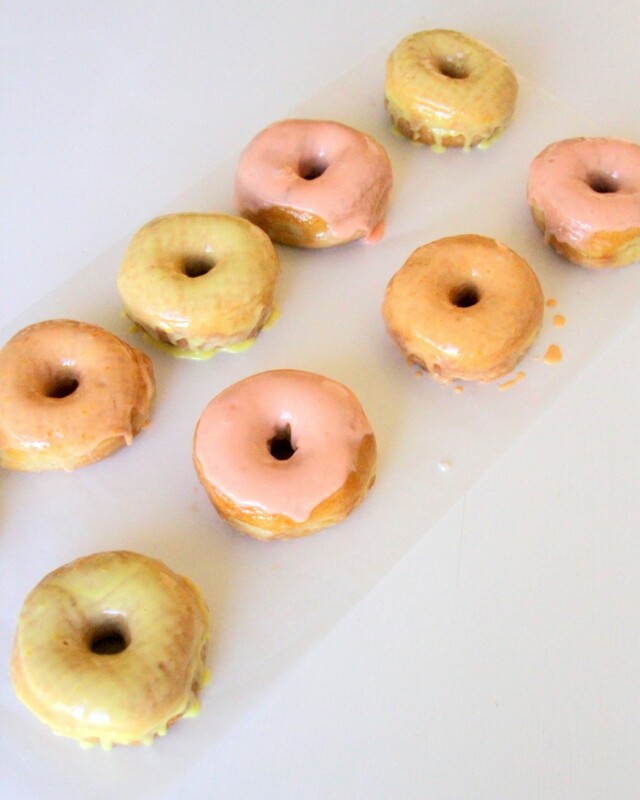 Let the glaze set for 15 minutes or so, place on a cake stand and serve (maybe sample a couple along the way). These were SO yummy, y’all. Not as good as Voodoo, of course, but still so yummy (and a huge hit with the birthday boy and his friends)!